It was always there, even at moments of sadness and shock. Laughter. My father was not just the strict Pa with whom I constantly fought. He was also Oom Hannes – the life and soul of the party, the jazz player and the joke teller. He could even use words we were not allowed to breathe. Like poephol! And yet those waves of laughter seemed to heal many things, certainly in my life and eventually in our family. The suicide of my mother can never merge into memory. It is as shocking now as it was then. But at least time has brought back those wonderful explosions of giggles when she sat on a man’s hat in church and we had to leave because we were all hysterical with laughter. 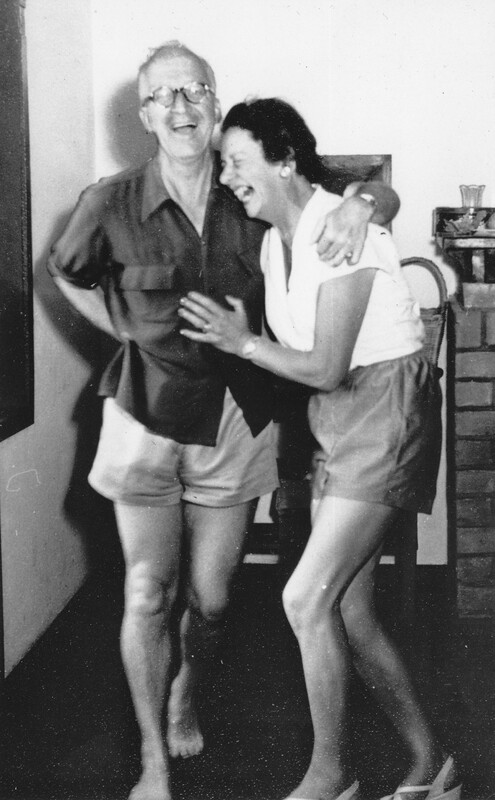 This picture taken on holiday in Hermanus in the early 1950s shows a man and a woman enjoying each other with laughter. I wish I knew what was so wonderfully funny.